Never been down. Looks amazing! Clean title and current registration. 14k miles. 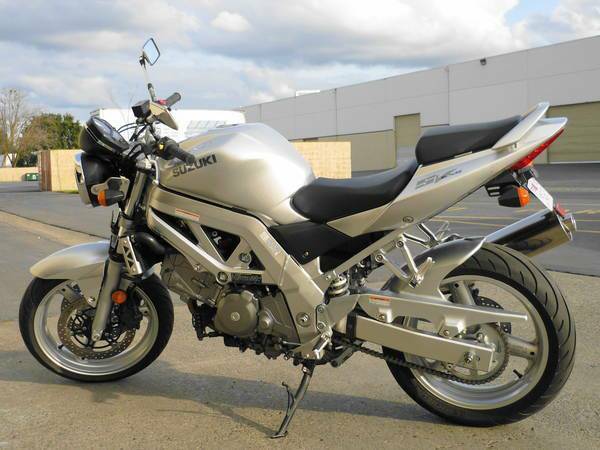 The SV650 is a very capable bike no matter how you ride it whether it’s sport riding, cruising, or commuting. It’s 645cc V-Twin engine has great mid-range punch with a manageable powerband. The SV650 looks and handles like a true performance motorcycle while still maintaining a rider friendly riding profile. Suspension: Telescopic coil spring front suspension with adjustable preload. Link type rear suspension with adjustable preload.